If you're looking for a job in a cafe, restaurant or coffee shop, this smart, clear CV template is the perfect choice. It starts off with a neat icon which you can change to suit the role you're going for (as it is created using a great font). You've then got space for an objective and skills, followed by the usual sections you'd expect on a good CV template, laid out in easy to edit columns. We've created this lovely template in tables so you can expand the sections if you need to - the design will simply push further down onto the second page, giving you the room you need. Free Food Services Assistant Word CV template	Overall rating:	4.7	out of 5 based on 4	reviews. This fantastic CV template uses Open Sans, a lovely clear font that is easy to read - together with a brilliant icons font for the icon at the top. 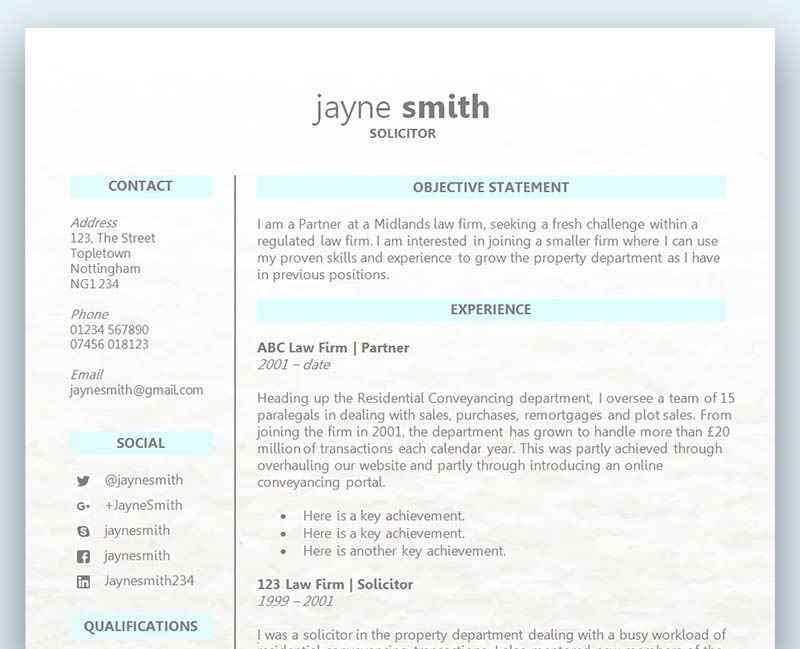 Your details are included at the bottom but you could very easily move them under your name if you prefer a more traditional CV layout. Attaching a cover letter to your CV is another great way of showing the hiring manager that you are passionate about the role, and may increase your chances of getting an interview. A customer service based role requires great communication and customer facing skills, as well as the ability to empathise and resolve complaints. As well as your CV, a cover letter is another great opportunity to demonstrate you have what it takes to exceed expectations in the customer service sector. What are your best customer service qualities? Look back over your work experience and find instances when you had to use these skills, and provide examples both in your CV and cover letter. A cover letter should support the claims you’ve made in your CV and help the employer to see that you have the right qualities for the customer service role available. What motivates you/why do you want the job? Why do you want to work in a customer service based role, and why do you want to work for that specific company? These are both important questions that an employer would want answering, and sometimes a CV can’t always address that directly. Your cover letter should do so, and why you love working in customer service and what attracted you to the role is a great opener. Your cover letter needs to ooze passion for the role and dedication to helping customers. A great example of what could motivate you in this sector is your desire to help others, meet new people and provide a fantastic customer experience. Whatever your motivation for working in this industry, make it clear to the employer and inject enthusiasm and friendliness into your cover letter. What do I need to know about the company? Writing a generic cover letter is a bad idea and it will stick out like a sore thumb. An employer can easily spot a generic letter when it isn’t specific enough to what they do and who their customers are. Research the company to find out as much as you can about what product or service they offer, and who their customers are. In addition, what are the company’s goals and how do they communicate with their customers – is it by phone, email or face to face? Try to align your cover letter with your work experience and explain how that experience will directly transfer over to the employer. Use examples and stay clear of making claims without actually providing evidence.